Welcome Back!!! I know, I know, it's been a while.....but I'm back, with a food post no less! Am I not good to you!?!?!? I think so!! Anyway, I wanted to tell you about the ASK Italian Preview Night I went to back in July....yeah I've been sitting on this for quite a while now but without further ado, here's my review of the night!! 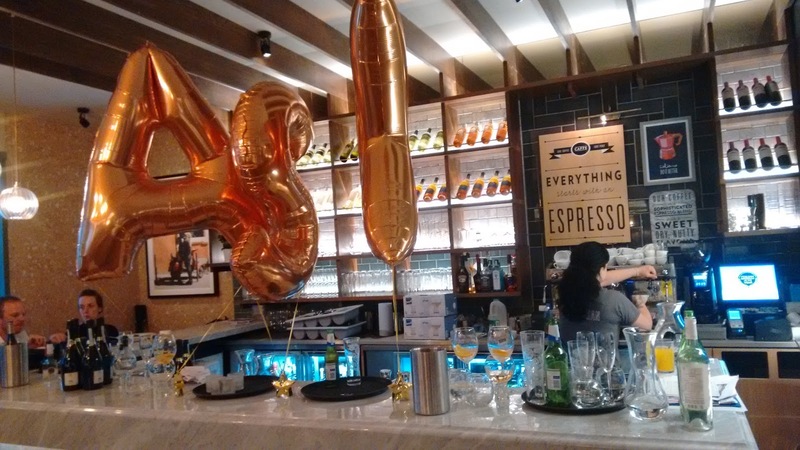 The new ASK Italian in Harrogate opened back in July and I was lucky enough to win a table for 4 over on Twitter and it just so happened, it fell on a Wednesday when I'd be up in Harrogate anyway and actually was the night after my Taylor's Coffee Masterclass Event. A great start to the week! We were booked in for 7:30PM and were greeted at the door with a glass of Prosecco which made us very happy and we were shown to our table and given a menu. As it was a preview evening, their was a small VIP set menu with only 3 choices for starters and mains. 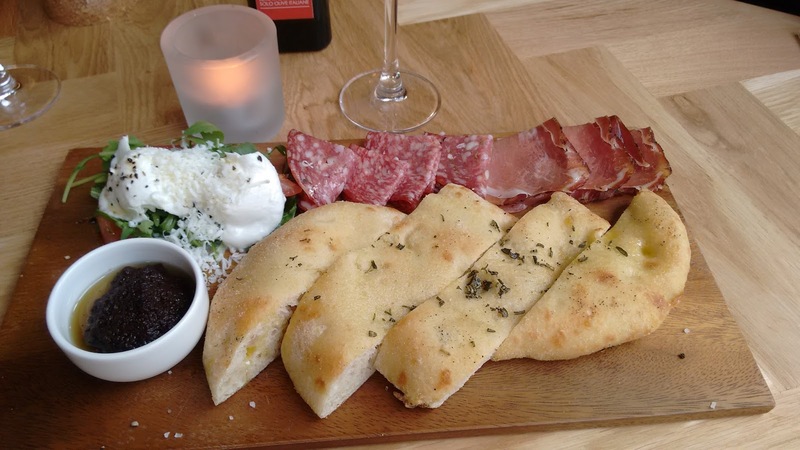 We were presented with a board of meats, cheeses, olive tapenade, bread and oil to tuck into whilst waiting for our starters. This is just the kind of food I like. It was delicious! Just enough to settle out rumbling tums and get our taste-buds going for our starters! I chose the Spaghetti Pomadoro and it was ssoo good! This can be found on their main menu too so you can enjoy a bigger portion if you're hungry enough! I found this size to be perfect for me, not too much to leave me hungry but not so much as to put me off my mains! For mains, I chose the Seabass Al Forno which was just absolutely sublime. 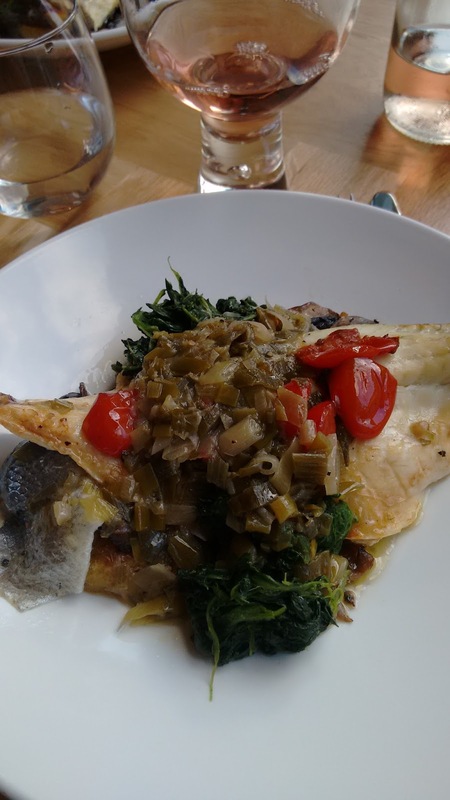 I don't often have Seabass due to it being on the pricey side so I was delighted to see it on this VIP Menu at ASK Italian. A definite winner for me (and my Mum agreed!). 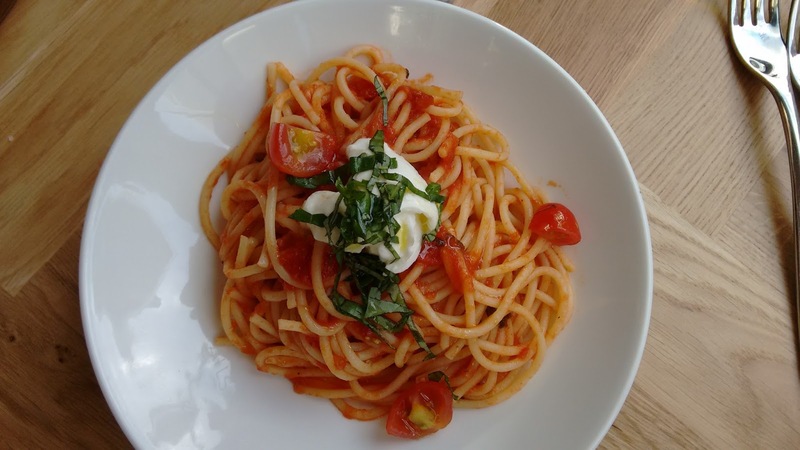 Good to see something different on the menu from all the pasta and pizzas which whilst good, can get a bit carb heavy and not so good if you're looking for something lighter for Summer! The set dessert was a Pear Tart on a base of frangipane which is almond and on my list of dislikes! Mum and I asked our waitress if we could have ice cream ('gelato') and she very kindly changed it for us! I went for 2 scoops, because, well, why not!! It was accompanied with a Cappuccino and I was one very happy girl! 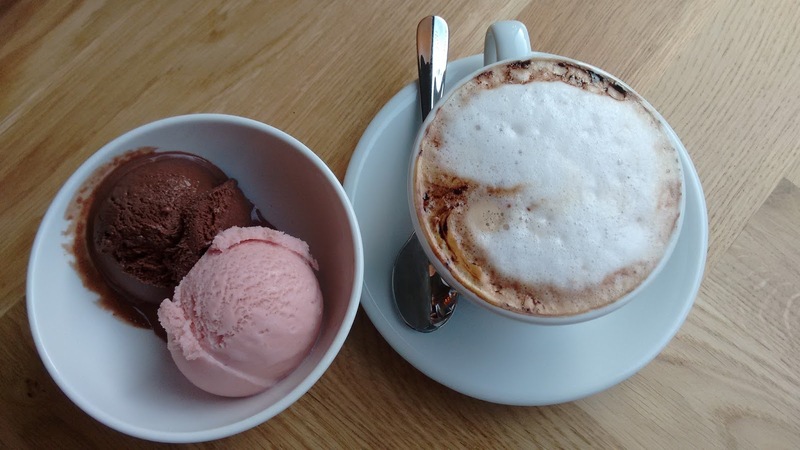 The ice cream/gelato was very smooth and tasted very much likes strawberries and chocolate! A perfect way to round off what had been a really rather lovely evening and it was even better that I could share it with my parents, who after all, do feed me on the regular and always see parcels coming through the door for me...! It felt great to be able to give back and let them in on this win! 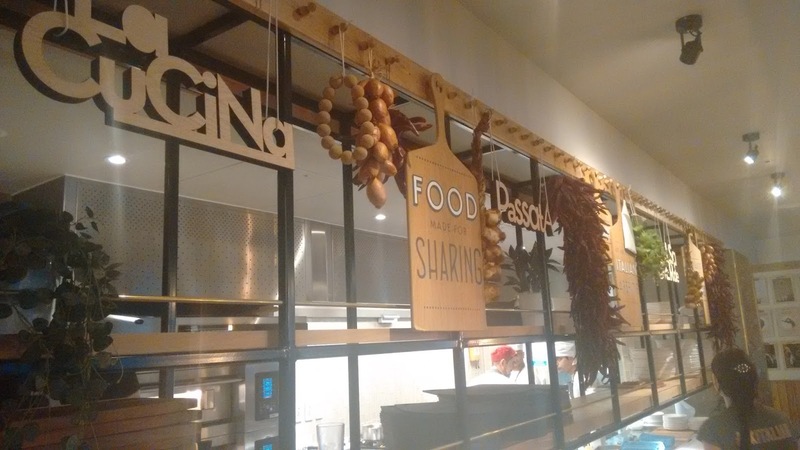 The layout of the restaurant is a bit like Pizza Express and Jamie's Italian (both of which are great by the way, you should definitely check them out if you have either close to you!) in that you can see what's happening in the kitchen. 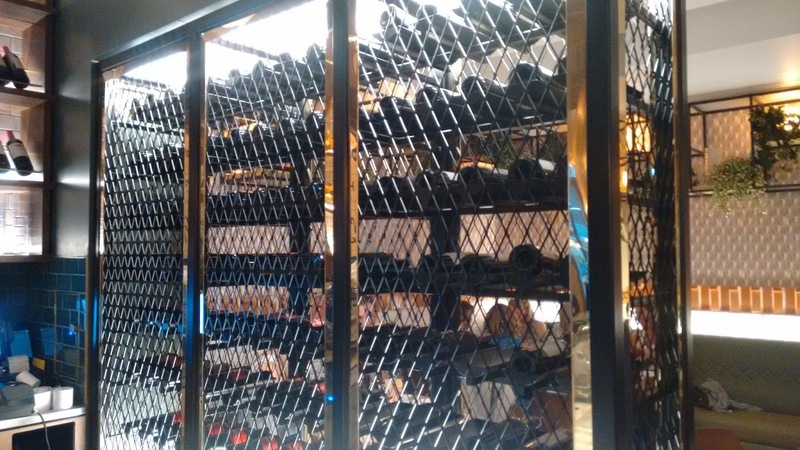 The bar area houses the wine in a cage and is a great touch. There's plenty of seating available, with an outside area to enjoy when the sun shines. This definitely adds to the whole 'al-fresco' eating/drinking culture which is so prevalent in Italy. The design is fresh with black and white tiling on the floor and the openness of the restaurants lends itself to eating here with a group of friends, tucking into food, drinking wine and soaking up the atmosphere. ASK is a great addition to Albert Street in Harrogate, which already houses Pizza Express, Zizzi, Cote (a french restaurant), Prezzo, Yo Sushi and Byron Hamburgers. You could say that Harrogate now has enough food places, but really, there are loads of different people here so I feel there should be enough different restaurants to cater to whatever craving you have! Find Ask at Unit 7, Westgate, Albert Street, Harrogate HG1 1JX (01423) 506333.